I enjoy writing articles but one thing that I have always been concerned about is that many writers focus solely on littering their articles with keywords so that the articles are picked up by the search engines, therefore increasing their sites popularity. Even though Google have changed their algorithms to ensure that quality wins over poorly written and keyword swamped content, some writers are still continuing to add highly targeted and sometimes irrelevant keywords throughout. Now I’m not against any writer marketing their website, building up a niche for themselves or using search engine optimisation, I have after all been writing SEO articles for years for my clients and I have written them for myself but…I always endeavour to make sure that any keywords used do not detract from the inner message of the article. 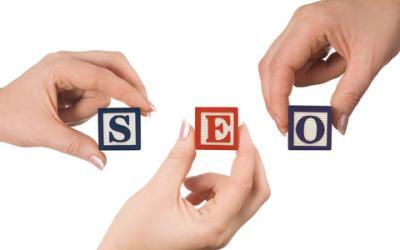 If you are not sure what SEO is, it’s worth learning how to use it to your advantage if you are trying to promote your work or plan to write for clients as many will ask for their articles to be optimised, but it’s worth doing it right so that you don’t alienate your reader. When I am writing articles, I always think about what I am trying to convey to the reader. I pick a topic and either write a generic article that introduces a reader to the subject as a whole or I plan to narrow down the topic and make the article a lot more concise and informative. Once you have established what your article will be about, then you can choose keywords that support the article minimising the risk of keywords becoming obtrusive. The most important thing when writing articles is always to write for your reader first of all and then think about keywords second. It’s possible to write an excellent article that is fully optimised and yet the reader would never know about it because the flow of words is seamless. Good SEO is a skilful technique and it really can make your articles list high in the search engine rankings but don’t ever forget that writing articles is all about informing, educating or entertaining others and if we forget who or what we are writing for, the reader may well decide to not bother reading our words at all.